Sometimes it seems like everybody’s writing a screenplay. But who reads those screenplays? Professional story analysts, that’s who. 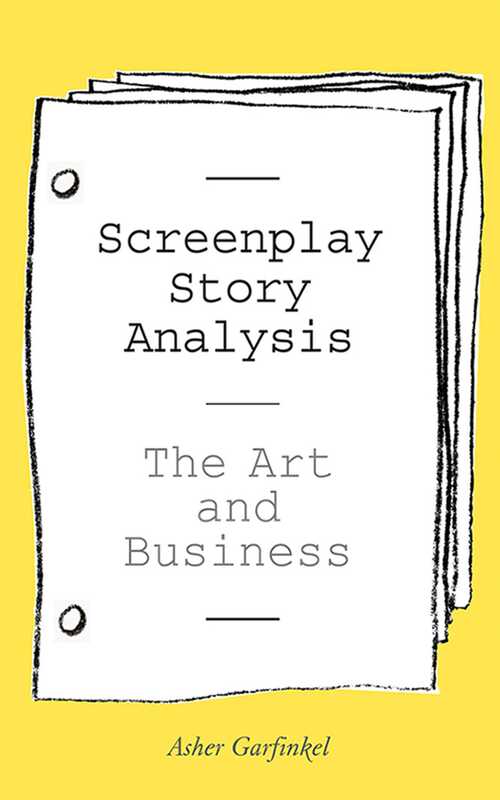 Screenplay Story Analysis explains exactly how to become a professional story analyst. Along with a basic how-to on writing a story analysisor "coverage"this book explains the techniques and thought processes involved in reading and evaluating a screenplay. Get familiar with terms, techniques, and general story elements. Master standard coverage format and content. Find guidelines for practicing coverage and getting work as a professional story analyst. With a foreword by Craig Perry, producer of American Pie, Final Destination, and other successful movies, and quotes from industry pros from top entertainment companies including ABC and Paramount Pictures, this is the essential guide for breaking into the business.